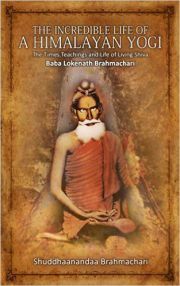 Introduces the great Himalayan yogi, Baba Lokenath(1730-1890) to the West. Lokenath's astonishing life and spiritual disciplines, his interactions with devotees, his teachings, as well as his powerful promises to help those who are in trouble offer fresh and deep insights into Vedic principles and tradition. Lokenath's spirit and blessings permeate Baba Shuddhaanandaa 's words, awakening new dimensions of trust in the Divine Presence and the availability of Grace. To those who are seeking, to those who are troubled, Baba Shuddhaanandaa's account of Baba Lokenath, with a meditative practices following each chapter, stimulates vital new perspectives and security for the spiritual journey.